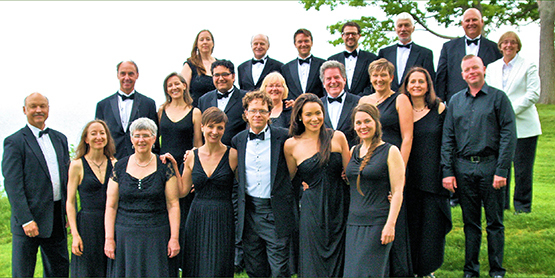 The Elmer Iseler Singers, Lydia Adams, Artistic Director and conductor, is a 20-voiced, award winning, professional choir based in Toronto, Ontario. Achieving excellence in performance, the EIS do approximately 50 engagements per season. EIS also educates, mentors, collaborates, workshops with schools, choirs, singers and young conductors and composers. Touring Ontario, Canada and internationally, EIS strive to reach and expose both urban and rural communities to the beauty of choral music, always including Canadian composers and arrangers.